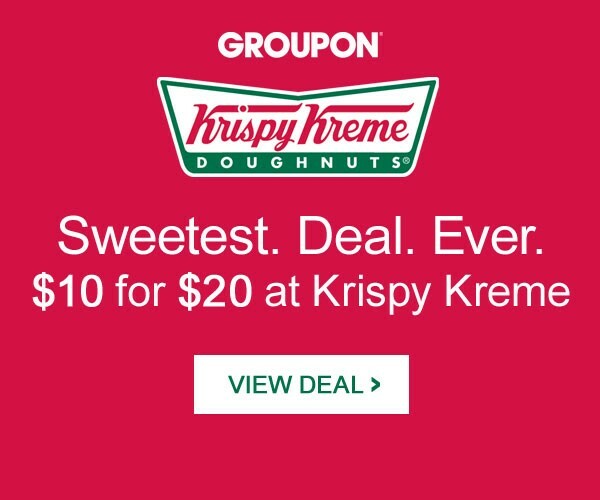 A Day Late and A Dollar Short: HOT KRISPY KREME GROUPON DEAL! 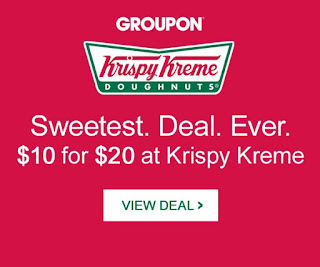 HOT KRISPY KREME GROUPON DEAL! Click here to visit Groupon and snag $20 worth of Krispy Kreme for only $10! How awesome is it to wake up to THIS in your mailbox? Click on the image below or any of the links in this post (affiliate links), and you can snag this great Krispy Kreme deal. $10 for $20 at KK! You all know how I love a doughnut and coffee! UPDATE: ShopatHome.com is offering 10% cash back on its site today! Plus, there is a coupon code out (Cool20) for an extra 20%! *If you aren't familiar with cash back sites, please check out our Cash Back site page.